We usually aim to have a bigger space in the interior despite of its limited space. We want a sufficient space where the most important zones in the interior is located. These crucial spaces in the house are the areas where we consider our comfort zones. 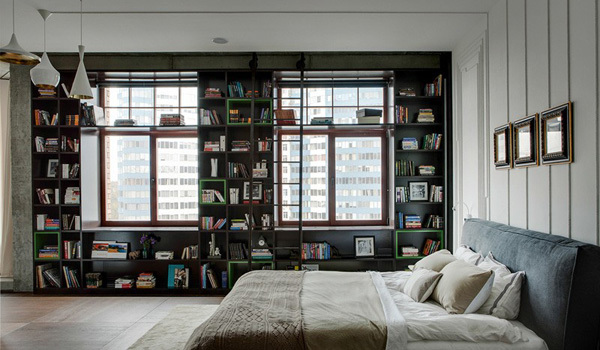 Today, we will see how the designer creatively maximized the limited space in the interior of this apartment. This apartment is named as the Odessa Apartment. 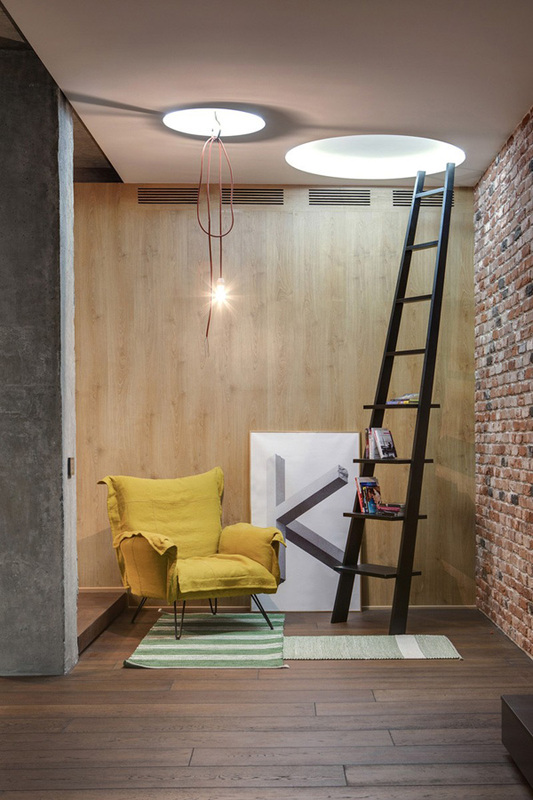 Odessa Apartment is situated in Odessa, Ukraine and this has been developed at the end of 2011. Well, the ower of this apartment requested to create cozy open space for herself and her guests as well. So the architects planned the apartment using the minimum doors or walls. They also suggested the effective solutions for all apartment zones which includes the living, kitchen, bedroom,, master and guest bathrooms. Scroll down the page and see the amazing features of the interiors through the images below. Here’s the golden yellow chair that shows the promising and charming seat that may provide comfort. 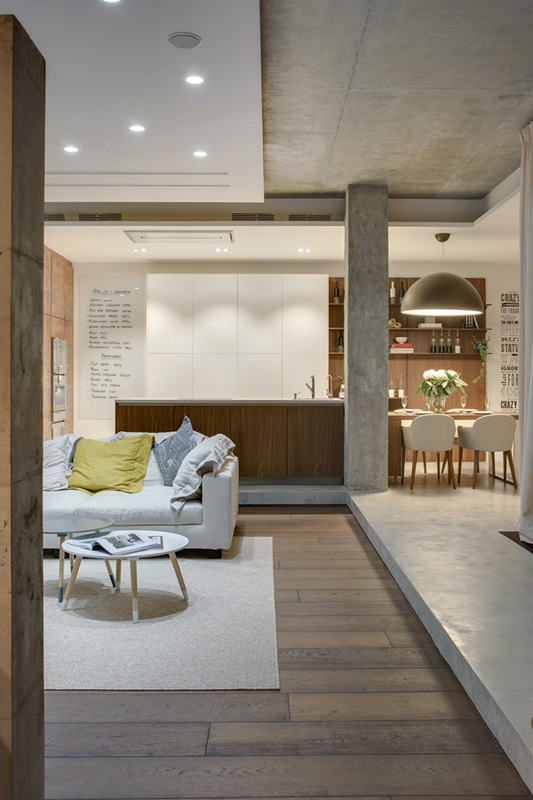 Well-lighted interior shows the luxurious and fashionable areas of the apartment. 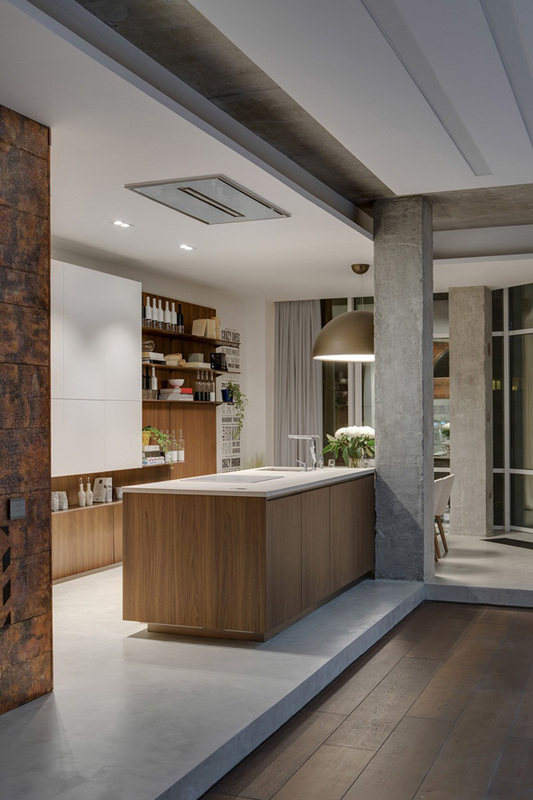 Textures seen in the wooden cabinets and floors in the kitchen remarkably underline its modern concept. 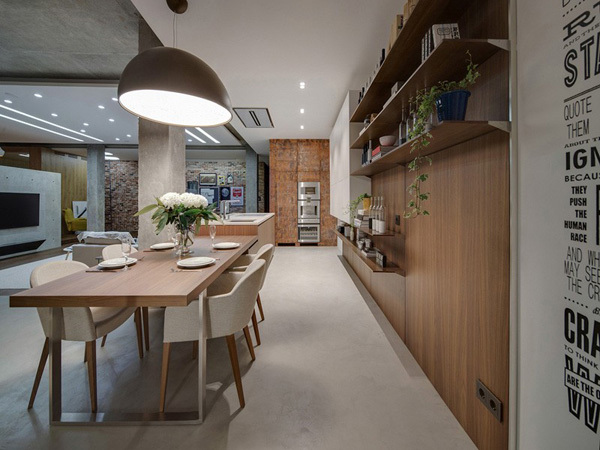 Trendy lamps harmonized with the modern and stylish chairs and furniture in the kitchen. Huge lamp in the dining table effectively complements with the curves and edges found in the chairs surrounded here. Geometric forms of the furniture creates a different dimensions and comfort in the house. 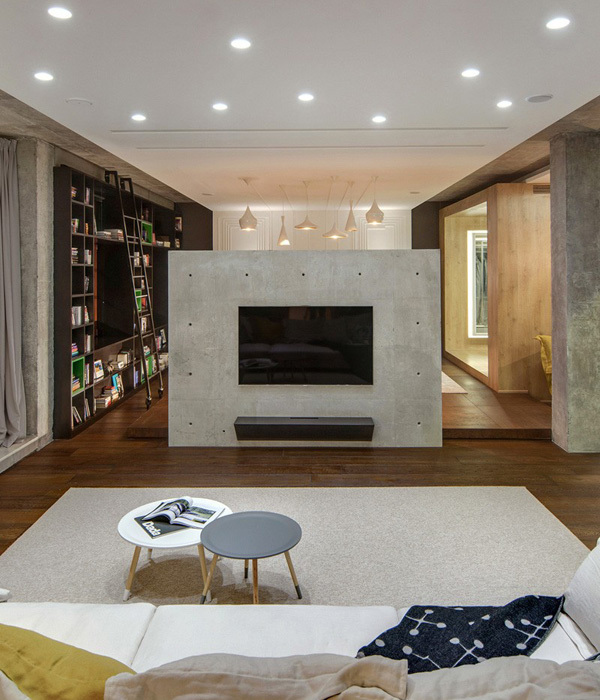 LED lights in the living spaces creates a pattern and proper orientation in this apartment. 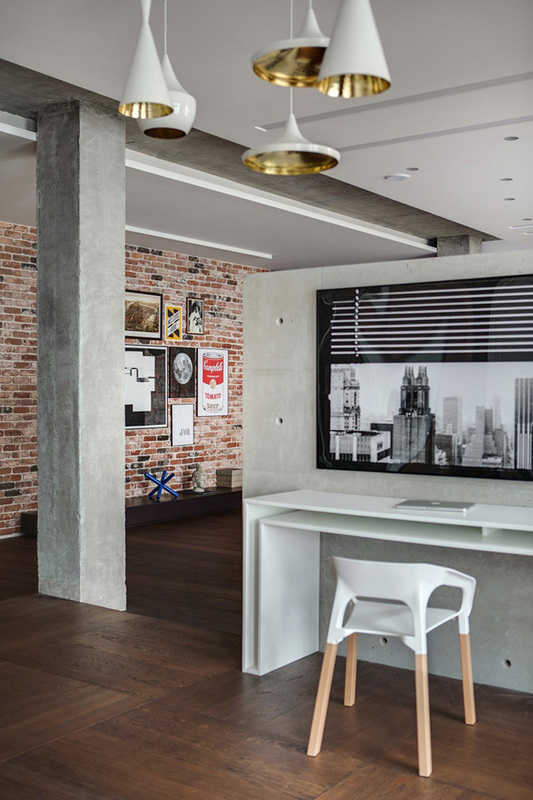 See how the designer maximized the walls by creating a built-in book shelves that will serves as the library for the client. 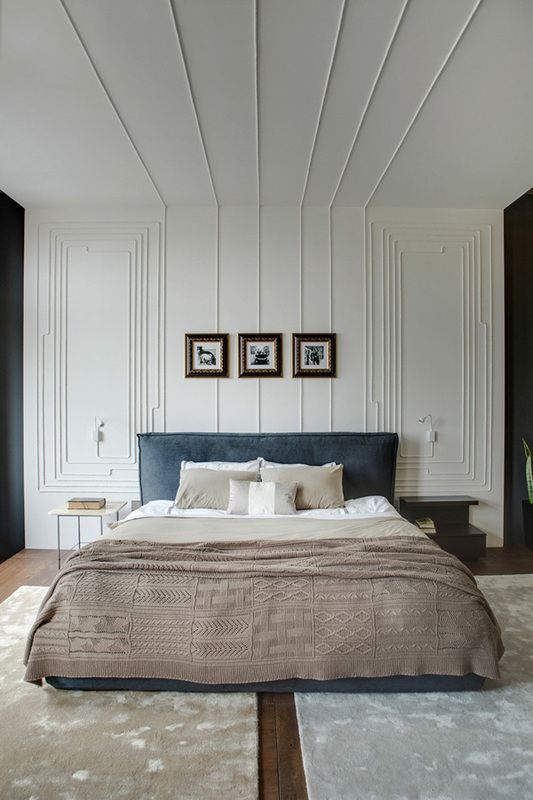 Look at the design of the carpet that also jives with the color and design of the mattress and pillows in this bedroom. From the bedroom, the client may also see the neatness and the simple but contemporary kitchen. 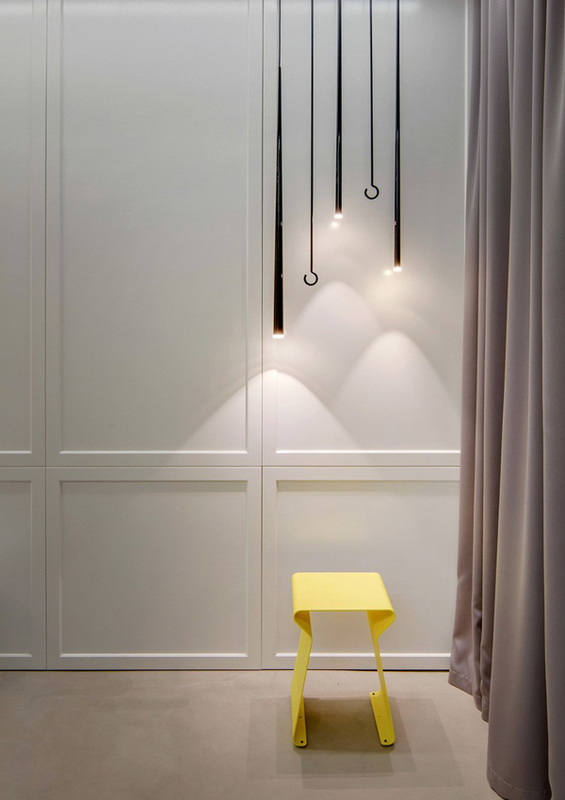 Trendy and stylish lamps may undeniably harmonized with this yellow chair that may also speaks art. 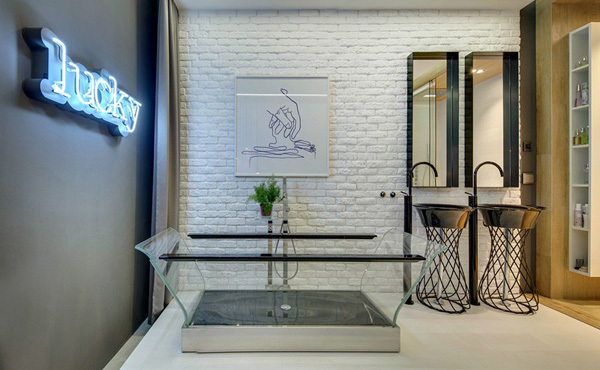 See this artistic and modern bathroom that showcase the glassed basin and unique fixtures that highlighted the contemporary design. A glassed bath tub is also utilized in this bathroom that also blends well with this classy basin and fixtures. 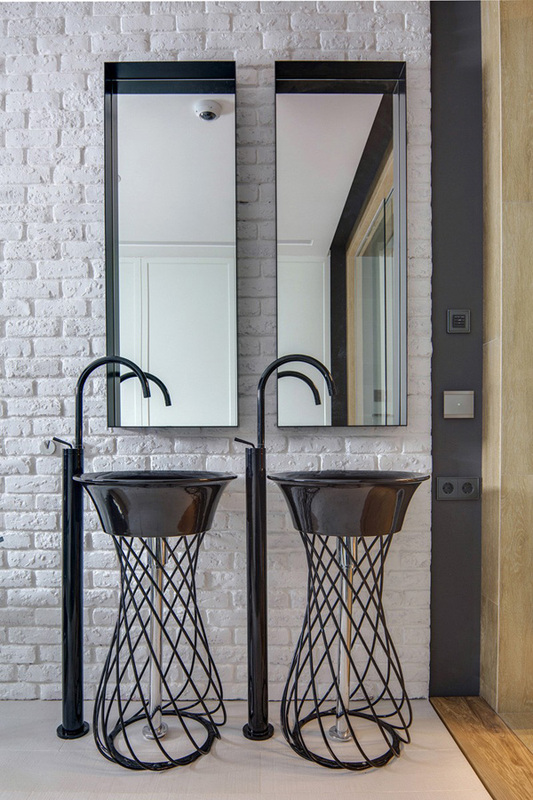 Simple but classy mirror graced the extraordinary design of this wash basin in this bathroom. Take a glance at the luxurious and uniquely designed bathroom which uncover its exquisiteness. 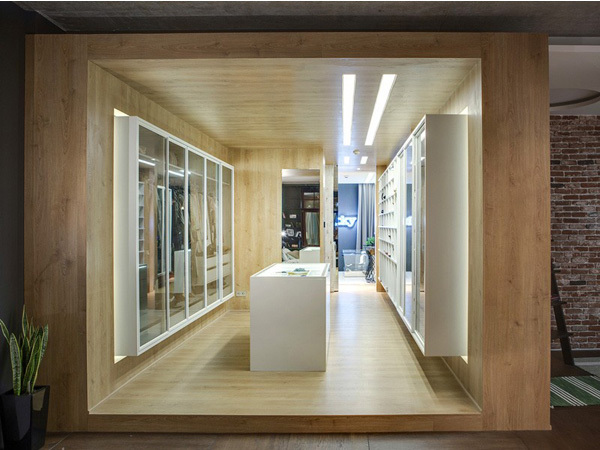 As we have seen the set of images above, we can clearly see how the 2B.group skillfully and effectively employ the minimal utilization of doors and walls. We can clearly see how the designer resolve and provide the needs of the client. 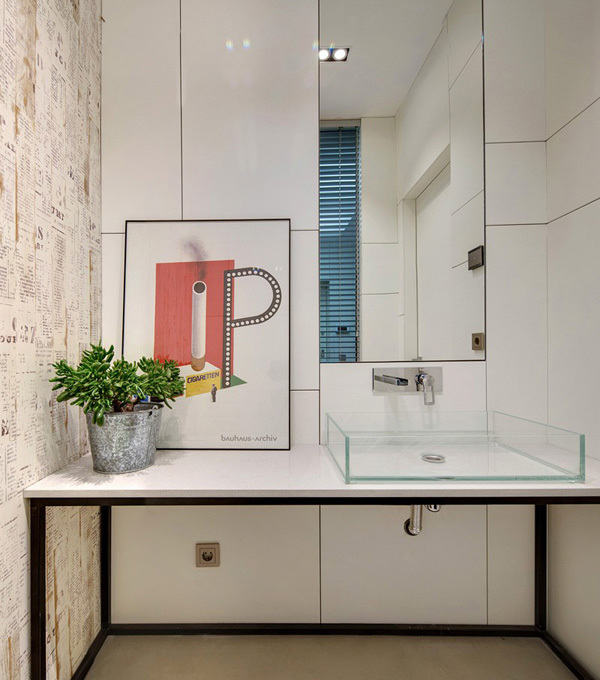 The designers careful planning revealed the effective design and concept that will definitely love not just the homeowner but her guests as well. We hope that you learned something new today that will inspire you in making your interior spacious and functional.